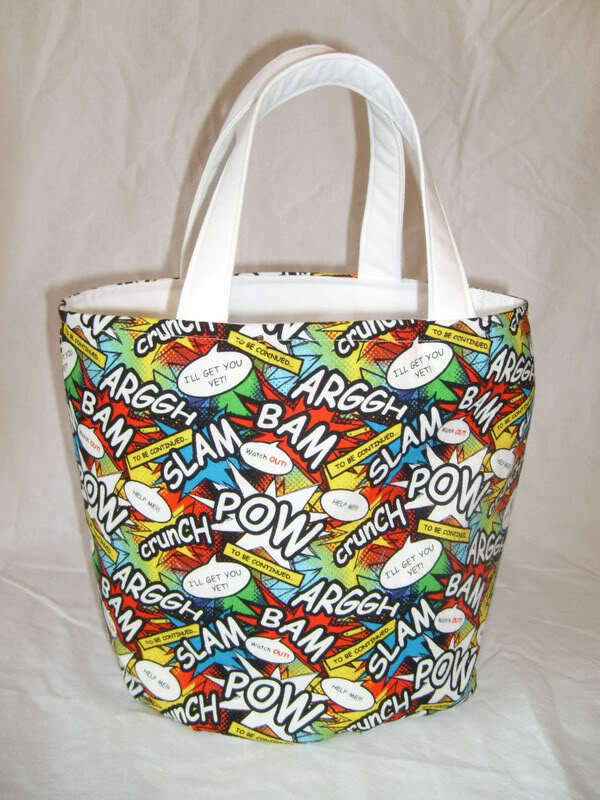 Comic book fashion looks great on the right person, and cool for kids. I have started to make Christmas presents this year out of things I find in op shops, and had an idea to customise a denim jacket for my friends six year old boy. This jacket I purchased from eBay, which arrived in excellent condition, it hardly looks worn at all (phew, you never know when you buy second hand clothes online!). 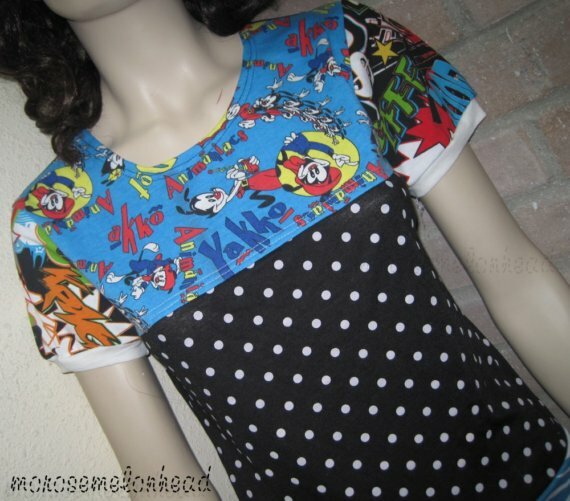 I didn't expect to find any comic book fabric second hand, but what I did find, is this comic t-shirt originally from Movieworld on the Gold Coast, for $4 in Salvos Mordialloc - perfect! I cut up the t-shirt, used some green bias strip from my sewing kit as a border to the comic book image, and stitched all of it onto the back of the jacket. I only had yellow, green and turquoise blue bias strips, and thought green matched best, what do you think readers? Is the green border too much? GREAT FOR THE KIDS! I reckon my Husbie (who isn't a six year old boy) would even love this! Love this! I may make one of these for my nephew...great idea! Love it. Right now I'm making matching comic coats for my two dogs! Similar to the tote fabric. Which I also love! Nena Nadine - comic coats for dogs? cool! I will have a look at your blog. I agree that you don't need to be a 6 year old boy to love this. My husband would too! I know 2 "men", aged 18 and 19 who would love this jacket especially if it had any kind of Manga cartoon on the back. I think it's just so cool. 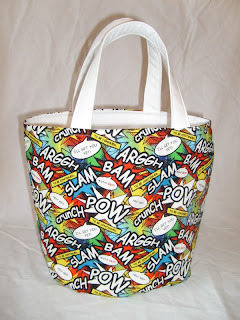 Manga cartoon fabric.. now that would be cool!!! I reckon that jacket looks fab! I love the print from the tee, and the green border goes really well.